Canter Estates, Stephens City, VA 22655 has had a consistent and healthy real estate market for the past three years. The current six month market report shows a 7% growth in sales price over the same period in 2018. It also shows a 6% improvement over the same period in 2017. Total sales during the October 2018 - March 2019 market tallied 7 sales. That number is down from the previous 12 sales from October 2017 - March 2018. That is a 41% drop, but with the percentage drop sounds a lot worse than it really is. The number for the current six month sales is the same as it was for the same period in 2016-2017. Market deviations are common in all markets. The critical numbers are the sales price numbers. October 2018 - March 2019 was $347686. The same period for the previous year was $325424. That should make current homeowners excited as the look at the upcoming Spring selling season. There is a good chance they will have an even more profitable home sale in 2019 than in the previous two years. 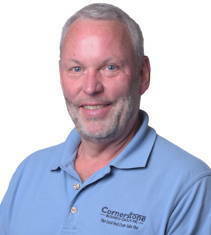 When you're ready to list your Canter Estates, Stephens City, VA home, give Cornerstone Business Group, Inc., a call. We are your neighborhood real estate sales pros.\ For additional Stephens City, VA available homes, click here.